Teaching kids how to manage their money is one of the best lessons parents can give. Part of educating teens and young adults about personal finance involves teaching them how to use credit wisely. While credit cards offer convenience and flexibility when it comes to making purchases, they can create a mountain of debt if they’re not used responsibly. Giving your teenager a credit card may not seem like a big deal but you need to make sure they know how to use it responsibly. One of the most important things teens need to know about credit cards is that they create a contract between themselves and the card issuer. When you sign up for a credit card, you’re agreeing to repay the money that you spend, along with any interest, fees or penalties the card issuer may charge. If you fail to hold up your end of the bargain, it could have negative consequences for your credit score, not to mention your card issuer could sue you in order to get you to pay. A credit card is more than just a piece of plastic. Every time you swipe your card to buy something, make a payment or apply for a new credit card, you’re potentially impacting your credit score. A credit score is a three-digit number that tells lenders how responsible you are when it comes to managing your finances. A high credit score generally indicates that you pay your bills on time, you know how to keep your spending in check and you’re not taking out too many credit cards or loans at once. A low score tells lenders that you’re a bigger risk financially, which can make it harder to get approved for new lines of credit or get the best interest rates. Using a credit card is similar to taking out a loan. The card issuer agrees to lend you the money in the form of a line of a credit and you agree to pay the money back. 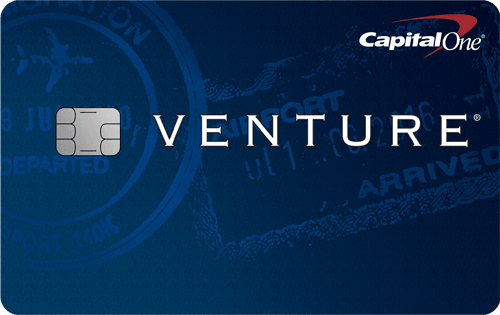 As a condition of this agreement, the card issuer will charge you interest on what you spend. The higher your interest rate, the more money you’ll end up paying for the things you buy, especially if you don’t pay the balance in full each month. For example, if you charge a $100 pair of jeans on a card with an 18% interest rate and just pay the minimum of $15 per month, it’ll take you eight months to pay them off and cost you an extra $20 in interest and finance charges. If you’re not paying your balance in full each month and you’re continuing to add to your balances, the amount of interest that’s accruing can quickly inflate your overall debt. Just because you have a credit card in your wallet, doesn’t mean you should use it for regular shopping sprees. Credit cards are convenient when you’re short on cash or if you run into an emergency but they’re not that great for everyday spending, unless you’re paying your balance in full each month. In fact, using a credit card versus cash to pay can actually lead to overspending, since you’re not feeling the financial pinch right away. While it may be tempting to whip out your credit card to buy the latest gadget or that new pair of shoes, unnecessary spending can hurt your overall financial health. On the surface, all credit cards look alike but some may be better than others. For example, certain credit cards may charge a high annual fee or carry higher interest rates than others. 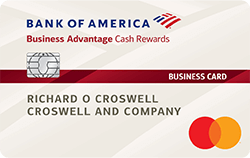 Other credit cards may offer a rewards system that lets you earn points or cash back on your purchases. When comparing credit cards, it’s important to read the fine print carefully before you sign up. This ensures that you know exactly what the card will cost you, what benefits the card offers and how to make the most of its rewards program. Under the new CARD Act, you have to be at least 21 years old to get a credit card in your name unless someone co-signs for you or you can prove that you have enough income to make the monthly payments. Parents who are thinking of co-signing on a card for their teen should keep in mind that they’ll still be liable for the debt, even if they’re not the one who did the spending. It may be wiser to add your teen to your credit card account, which allows you to monitor your child’s spending. By taking an active role in teaching your teenager about how credit cards work, you’re helping build a solid financial foundation that will benefit them as adults.